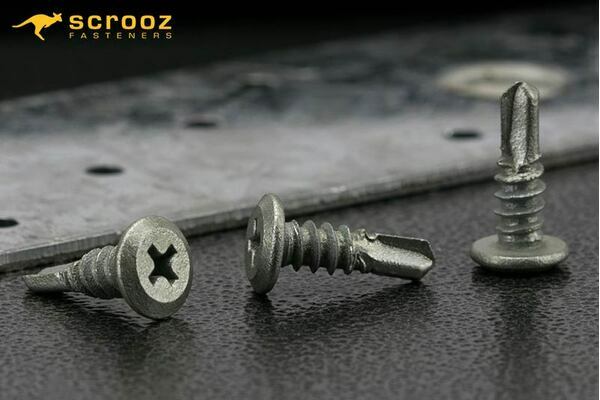 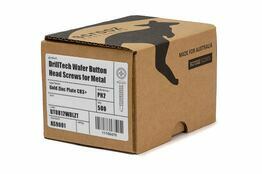 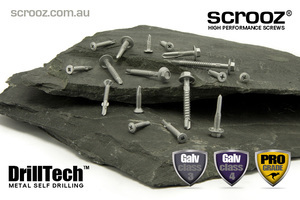 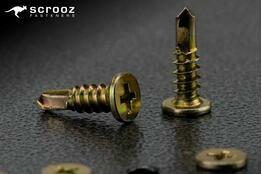 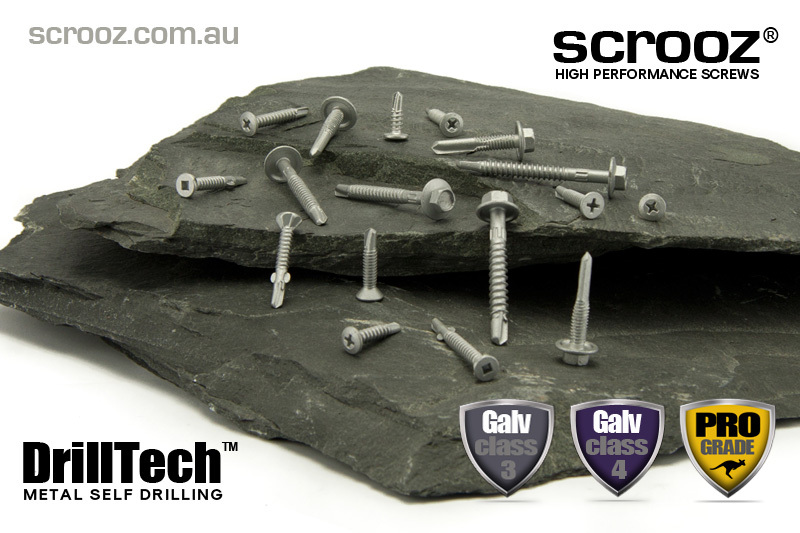 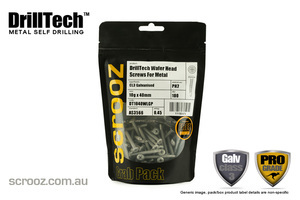 High performance wafer head screws from our DrillTech metal self drilling screw range. 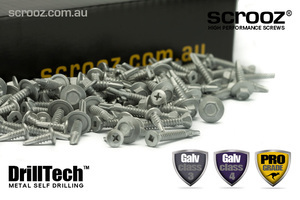 Features include low profile head for an unobtrusive finish and hardened shanks for a high strength fastening of brackets, components, sheeting and assemblies in light to medium gauge steels up to 3.5mm thick. 16TPI. 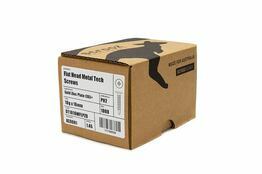 Phillips no 2 drive and class 3 galvanised for maximum corrosion protection in external applications, free driver supplied in all trade boxes. 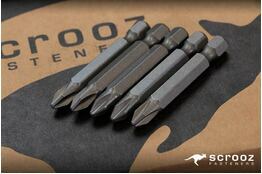 Self drilling hardened points for fast insertion and self centred start. 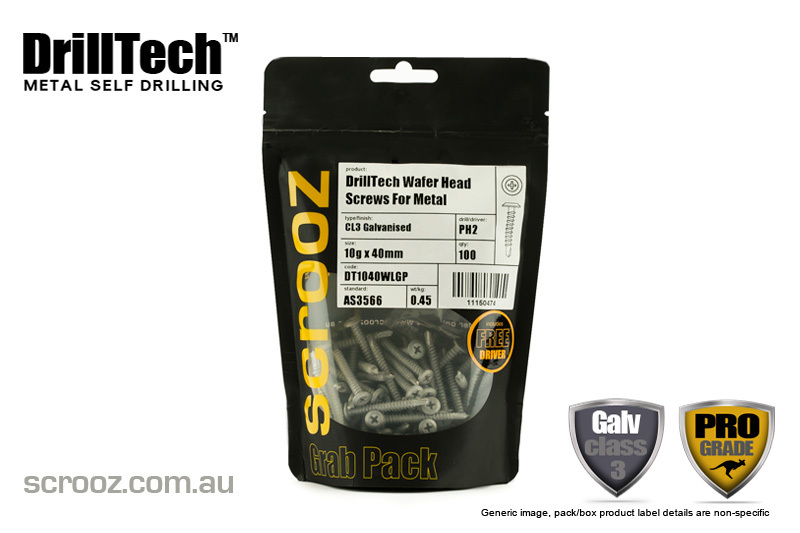 Sold in convenient Grab Packs or heavily discounted Trade Boxes for volume users.